Susan will get you fitness results! Personal Trainer Service Area Kissimmee, Orlando, St. Cloud, Harmony, Celebration, Windermere, Reunion, Winter Park, Metro West, Dr. Philips, Winter Garden, Disney Properties, Hunters Creek, Poinciana and any surrounding areas. My name is Susan. 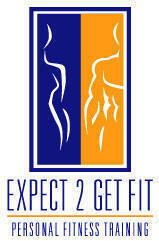 I am a Personal Trainer in Kissimmee and the surrounding areas. I offer Professional In Home Personal Training. My philosophy is to take my passion for fitness and exercise and motivate you to get in the best shape of your life. I am a graduate of the National Personal Training Institute where I learned The Theory and Practice of Personal Training, Basic Nutrition, Anatomy and Physiology of Personal Training and the Practical Application of Personal Training. 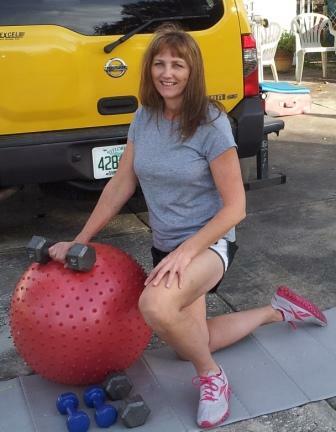 I have been involved in fitness all my life and am an Experienced Personal Trainer in Kissimmee. I will help you to get motivated to start a new you! I will design an exercise program just for you. I will not only train you but I will teach you proper form and what muscles you are using for each exercise so that you get the most benefit out of your workout. You will see progress! We will keep track of your progress through body fat analysis and taking your measurements. I come to you! I bring all the equipment and if you have any equipment we can use that too. There is no need to leave home, pay a sitter, go to a busy health club and pay expensive gas money. This will save you time and money. View my exercise and fitness testimonials from only a few of my clients that have received great results. Professional Member of NSCA (The National Strength and Conditioning Association).